1 mg. Paclitaxel belongs to the taxane family of antitumor and antileukemic agents (3). By binding to β-tubulin and promoting the assembly of microtubules, paclitaxel prevents microtubual depolymerization and blocks normal cell division (1-3). The microtubule dysfunction induced by paclitaxel results in aberrant cell mitosis and sometimes apoptosis. The IC50 of paclitaxel-induced mitotic block is 4 nM (4). Paclitaxel is supplied as 1 mg powder. Store at or below -20ºC. Before use, dissolve powder in 1.15 ml DMSO to make a 1 mM paclitaxel stock solution. For working concentrations of 100 nM-1000 nM, dilute DMSO stock 1:10,000 to 1:1000. Treat cells with the desired concentration for 6-48 hours. Paclitaxel is more stable as a powder than in solution; it is therefore recommended to dissolve as close as possible prior to use. Store solution at or below -20ºC. 400 µg. Tyrphostin AG 1478 is a tyrosine kinase inhibitor specifically selective to EGFR (ErbB1), with an IC50 of about 3 nM in vitro (1,2). Treatment of cell with 50-150 nM of AG 1478 can substantially block EGFR activiation in vivo (3). In addition to EGFR, AG 1478 also inhibits ErbB4 activation induced by radiation in cancer cells (4). Testing of AG 1478 alone or in combination with other treatments to assess anti-tumor and anti-fibrotic effectiveness has yielded promising results (5-8). Tyrphostin AG 1478 is supplied as 400 μg powder. Store at or below -20ºC. Before use, dissolve powder in 1.23 ml DMSO to make a 1 mM Tyrphostin AG 1478 stock solution. For working concentrations of 100 nM-200 nM, dilute DMSO stock 1:10,000 to 1:5,000. Treat cells with the desired concentration for 30 minutes. Tyrphostin AG1478 is more stable as a powder than in solution; it is therefore recommended to dissolve as close as possible prior to use. Store solution at or below -20ºC. 1 mg. Docetaxel belongs to the taxane family of antitumor and antileukemic agents (1). A microtubule-stabilizing agent, docetaxel acts as an inhibitor of cellular functions that require microtubule dynamics including cell division, and is now in use as a treatment for breast, prostate and lung cancer (2). Docetaxel is supplied as 1 mg powder. Store at or below -20ºC. Before use, dissolve powder in 1 ml DMSO to make a 1 mg/ml stock solution. The suggested working concentration is 100 ng/ml in tissue culture medium. Treat cells for 4-24 hours. Store solution at -20ºC. 1 mg. Roscovitine is a cell permeable reversible selective inhibitor of cyclin-dependent kinases CDK1 (cdc2), CDK2 and CDK5 (1). A purine analog, this drug competes for the binding site of ATP in the catalytic cleft. Treatment of cultured cells with roscovitine can cause cell cycle arrest or apoptosis (1-4). The IC50 for cdc2 activity is 0.65 μM in vitro (1). Roscovitine [(R) stereoisomer] is supplied as a 1 mg powder. Store at or below -20ºC. Before use, dissolve powder in 143 μl DMSO or MeOH to make a 20 mM stock solution. The suggested working concentration is 20 μM in tissue culture medium. Treat cells for 4-24 hours. Store solution at -20ºC. 5 mg. MW=264.32 g/mol. C14H20N2O3. >99%. Vorinostat (SAHA) is a histone deacetylase (HDAC) inhibitor that acts by binding to and blocking the active site of the enzyme (1). Both class I and class II HDACs are inhibited by vorinostat at nanomolar concentrations (1-3). Research studies have shown that vorinostat causes the accumulation of acetylated histones, certain transcription factors, and other nonhistone proteins, which regulate gene expression and protein function. This leads to cell cycle arrest, differentiation, and/or apoptosis in many transformed cell types treated with micromolar concentrations of vorinostat. Vorinostat is supplied as a lyophilized powder. For a 20 mM stock, reconstitute the 5 mg in 945.8 µl DMSO. Working concentrations and length of treatment can vary depending on the desired effect, but it is typically used at 1-10 µM for 2-24 hr. Soluble in DMSO at 66 mg/ml; soluble in ethanol at 2 mg/ml with slight warming; very poorly soluble in water with maximum solubility ~20-50 µM. 1.5 mg. LY294002 (PI3 Kinase Inhibitor) was shown to act in vivo as a highly selective inhibitor of phosphatidylinositol 3 (PI3) kinase. When used at a concentration of 50 μM, it specifically abolished PI3 kinase activity (IC50=0.43 μg/ml; 1.40 μM) but did not inhibit other lipid and protein kinases such as PI4 kinase, PKC, MAP kinase or c-Src (1). LY294002 is soluble in DMSO or ethanol. For use with in vitro or cell-based assays, it may be diluted into aqueous buffers to yield the desired concentrations. For experiments with cultured cells, CST recommends treating the cells with LY294002 for one hour prior to, and for the duration of, the stimulation. LY294002 has been shown to block PI3 kinase-dependent Akt phosphorylation and kinase activity. For 10 mM stock, reconstitute 1.5 mg in 488 µl DMSO. For 50 mM stock, reconstitute 1.5 mg in 98 µl DMSO. Store aliquots at -20ºC. 1.5 mg(s) or 5 mg(L). PD98059 (MEK1 Inhibitor) has been shown to act in vivo as a highly selective inhibitor of MEK1 activation and the MAP kinase cascade (1-4). PD98059 binds to the inactive forms of MEK1 and prevents activation by upstream activators such as c-Raf (3). Supplied as a lyophilized yellow powder. For 20 mM stock, reconstitute 1.5 mg in 280 µl DMSO (5 mg in 933.3 μl). For 50 mM stock, reconstitute 1.5 mg in 112 µl DMSO (5 mg in 373.3 μl). Store in aliquots at -20ºC. See enclosed MSDS for further information. This product is for in vitro research use only and is not intended for use in humans or animals. 10 nmol. Rapamycin is a bacterial macrolide with antifungal and immunosuppressant activities (1). Rapamycin forms a complex with the immunophilin FKBP12 which then inhibits the activity of FRAP/ mTOR (TOR in yeast) (2,3). Rapamycin treatment of cells leads to the dephosphorylation and inactivation of p70 S6 kinase. Rapamycin also leads to the dephosphorylation of 4E-BP1/PHAS1, thereby promoting its binding to and inactivation of eIF4E (4,5). This activity has been shown to be the basis for Rapamycin's ability to block protein synthesis and to arrest cell cycle progression in the G1-phase (6,7). However, it has been suggested that Rapamycin's inhibition of the G1/S transition may be the consequence of its effect on cyclin D1 mRNA and protein stability (8). Rapamycin is supplied as a lyophilized powder. For a 100 µM stock, resuspend 10 nmol (9.1 µg) in 100 µl methanol or DMSO. Rapamycin is soluble in DMSO and methanol. For experiments with cultured cells, CST recommends pretreating with 10 nmol of this inhibitor for one hour prior to stimulation. >99% 5 mg.C22H26ClN7O2S. Dasatinib is a small molecule inhibitor of both the Src and Bcr-Abl tyrosine kinases, with IC50 values of 0.55 and 3.0 nM for the isolated kinases, respectively (1). Imatinib and dasatinib have similar inhibitory mechanisms, but dasatinib displays greater potency in imatinib-resistant cell lines and greater inhibitory effect on platelet derived growth factor (PDGF) (2,3). Dasatinib is supplied as a lyophilized powder. For a 5 mM stock, reconstitute the 5 mg in 2.05 mL DMSO. Working concentrations and length of treatments vary depending on the desired effect, but it is typically used at 50-500 nM for 2-6 hours. Soluble in DMSO at 200 mg/mL; very poorly soluble in ethanol and water with maximum solubility in water estimated to be about 10 μM. >99% 5 mg. C29H31N7O + CH4SO3. Imatinib is a tyrosine kinase (TK) inhibitor that is a relatively specific ATP-binding site antagonist of Bcr-Abl, PDGF receptor, and c-Kit TKs (1-3). Results are encouraging in chronic myeloid leukemia (CML) clinical trials and imatinib has become a paradigm for targeted cancer therapeutics (4-6). Signal transduction through phospho-tyrosine pathways has been studied extensively, and tyrosine phosphorylation has been linked to multiple cell growth and differentiation pathways (7-9). Because the observed leukemic state of CML is dependent on the intact Bcr-Abl tyrosine kinase activity, extensive work has been done to identify substrates of Bcr-Abl and thus possible mechanisms leading to a myeloid expansion. Many groups have characterized prominent tyrosine-phosphorylated protein substrates in both CML blasts and Bcr-Abl-expressing cell lines, including SHIP, c-Cbl, Dok, Shc, and CrkL (10-15). In addition, key signal transduction pathways involving PI3 kinase, Ras, Myc, and Stat5 are also activated in a Bcr-Abl kinase-dependent manner (16). Imatinib is supplied as a lyophilized powder. For a 10 mM stock, reconstitute the 5 mg in 847.9 μl DMSO. Working concentrations and length of treatment can vary depending on the desired effect, but it is typically used at 1-10 μM for 1-2 hours. Soluble in DMSO at 100 mg/ml; poorly soluble in ethanol. Soluble in water at 200 mg/ml. Bortezomib is supplied as a lyophilized powder. For a 1 mM stock, reconstitute the 2.5 mg in 6.51 ml DMSO. Working concentrations and length of treatment can vary depending on the desired effect, but it is typically used at 1-1000 nM for 2-48 hours. Soluble in DMSO and ethanol at 200 mg/ml, very poorly soluble in plain water. Crizotinib is supplied as a lyophilized powder. For a 1 mM stock, reconstitute the 2.5 mg in 5.55 ml DMSO. Working concentrations and length of treatments vary depending on the desired effect, but it is typically used at 0.1-1 µM for 2-6 h. Soluble in DMSO at 25 mg/ml with warming; very poorly soluble in water with maximum solubility ~10-20 µM. >99% 5 mg. C27H29NO11 • HCl . Doxorubicin, an anthracycline antibiotic, inhibits DNA and RNA synthesis in mammalian cells and has been shown to be a very effective anti-tumor agent (1,2). Doxorubicin binds to nucleic acids by intercalating the DNA double helix and stabilizing topoisomerase II cleavage complexes, leading to DNA strand breaks at specific doxorubicin-induced sites (3). Doxorubin has been shown to inhibit DNA synthesis in a dose-dependent manner in MCF7 cells, which corresponds closely with growth inhibition (4). Researchers have also demonstrated that doxorubicin effectively inhibits human DNA topoisomerase I (5). Doxorubicin is supplied as a lyophilized powder. For a 10 mM stock, reconstitute the 5 mg in 860 µl DMSO. Working concentrations and length of treatments vary depending on the desired effect, but it is typically used at 0.1-5 µM for 12-24 hours. Soluble in DMSO at 100 mg/ml; very poorly soluble in ethanol; soluble in water at 10 mg/ml with slight warming. 10 µg. Calyculin A (Serine/Threonine Phosphatase Inhibitor) is a more potent phosphatase inhibitor than Okadaic acid (2). As shown by Western blot, treatment of cells with 100 nM Calyculin A for 30 minutes induces threonine phosphorylation, detected by Phospho-Threonine-Polyclonal Antibody #9381. IC50 values for inhibitory activity against PP1 are approximately 2 nM. IC50 values for inhibitory activity against PP2A are approximately 0.5 -1.0 nM. Calyculin A inhibits the activity of protein phosphatases PP1 and PP2A (1,2). Unlike Okadaic acid, which reduces PP2A activity but has little effect on PP1 activity, Calyculin A inhibits both phosphatases (1). Neither Calyculin A nor Okadaic acid inhibit acid or alkaline phosphatases or phospho- tyrosine protein phosphatases (2). Cyclosporin A is supplied as a 100 mg powder. Store at -20ºC. Cyclosporin A is soluble in ethanol (also DMSO) and stock solutions should be stored at -20ºC. Working concentrations and length of treatment can vary depending on the desired effect but it is typically used at around 100 nM. 500 µg. Bisindolylmaleimide I (BIS) is a potent inhibitor of PKC (1,2). In vitro the IC50 of BIS is 10-20 nM for PKCα/β/γ and 100-200 nM for PKCδ/ε isoforms. The in vitro IC50 for PKCζ is about 6 μM, indicating that BIS is a very weak inhibitor for this isoform. In in vivo cellular assays the IC50 of BIS for PKC is between 0.2-2 μM (1,3). 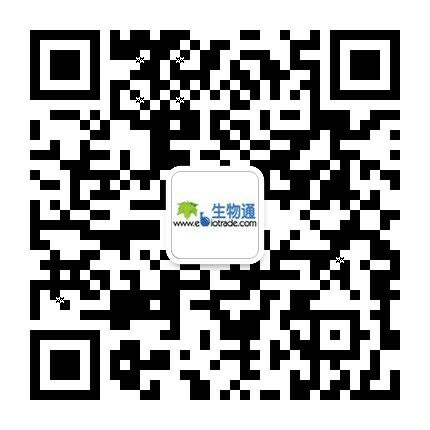 Bisindolylmaleimide I is supplied as 500 μg powder. Store at or below -20ºC. Before use, dissolve powder in 0.28 ml DMSO to make a 4 mM bisindolylmaleimide I stock solution. For working concentrations of 2 μM-4 μM, dilute DMSO stock 1:2000 to 1:1000. Treat cells with the desired concentration for 30 minutes. 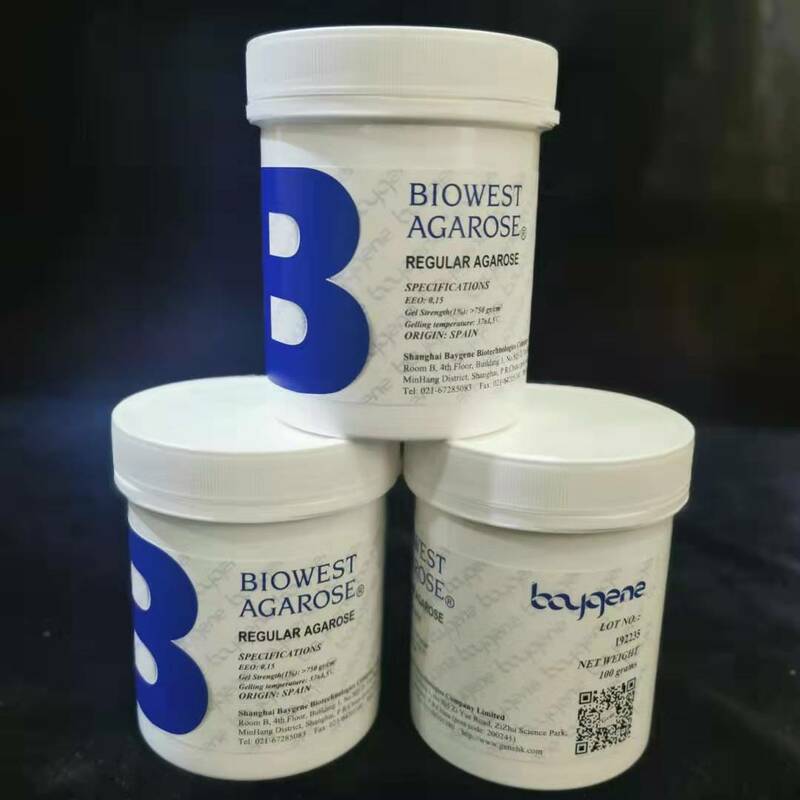 Bisindolylmaleimide I is more stable as a powder than in solution; it is therefore recommended to dissolve as close as possible prior to use. Store solution at or below -20ºC. For a 1 mg/ml stock, reconstitute the 10 mg in 10 ml sterile PBS. Working concentrations and length of treatment can vary depending on the desired effect, but it is typically used at 10-1000 µg/ml for 15 min-24 hours. Soluble in PBS and cell culture medium at 5 mg/ml and 1 mg/ml, respectively. 1 mg. TPA (12-O-tetradecanoylphorbol-13-acetate) / PMA (phorbol-12-myristate-13-acetate) is the most commonly used phorbol ester. It binds and activates protein kinase C, causing a wide range of effects in cells and tissues (1,2). TPA has been demonstrated to be a potent tumor promoter in mouse skin (3). Conversely, it has been shown to be an effective cancer therapeutic agent in myelocytic leukemia patients, and has been indicated as a potential colorectal cancer therapeutic (4-5). TPA has also been shown to increase white blood cell and neutrophil counts in solid tumor cancer patients (6). TPA is supplied as a 1 mg powder. Store at -20C. Before use, dissolve powder in 1 ml DMSO to yield a 1.6 mM stock solution. For working concentration of 200 μM, add 125 μl stock solution to 875 μl DMSO. Treat cells with 200 nM TPA for 20-30 minutes. Erlotinib is supplied as a lyophilized powder. For a 10 mM stock, reconstitute the 10 mg in 2.54 ml DMSO. Working concentrations and length of treatment can vary depending on the desired effect, but it is typically used as a pretreatment at 0.1-10 µM for 0.5-2 hours prior to treating with a stimulator. It can also be used alone, with varying treatment times lasting up to 24 hours. Soluble in DMSO at 100 mg/ml, soluble in ethanol at 10 mg/ml with warming; very poorly soluble in water with a maximum solubility ~5-20 µM. Nocodazole is supplied as a lyophilized powder. For a 1 mg/ml stock, reconstitute the 10 mg in 10 ml DMSO. Working concentrations and length of treatments vary depending on the desired effect, but it is typically used at 0.1-1 µg/ml for 12-48 hr. Soluble in DMSO.